1st of June is International Children's Day and this year I want to celebrate it together with you by offering something to those who can or cannot run, who smile, even if sometimes they are in pain, to the kids who might be struggling every day but we don't see or understand that. It's not visible but it's there. And it can have up to 1000 facets. This campaign is dedicated to children with multiple sclerosis. 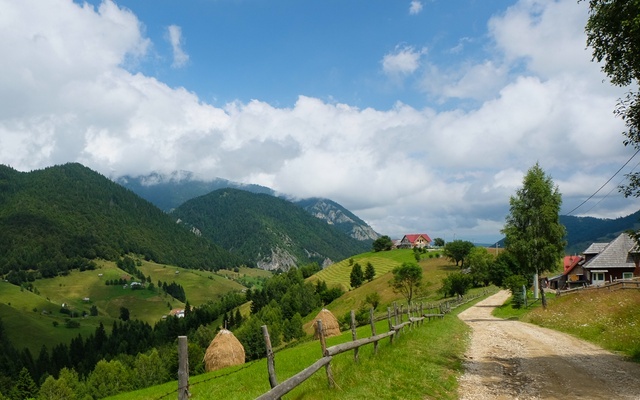 During the months of June and July I will take part in several trail runs and swimming competitions to support the Association of Patients with Neurodegenerative Conditions in Romania (APAN) organise the Multiple Sclerosis (MS) Kids Retreat in the beautiful area of Magura in Romania. Multiple sclerosis is a chronic, inflammatory demyelinating and degenerative disease of the central nervous system with typical onset between age 20-40 years. Over 2 million people have MS worldwide with over 700.000 in Europe. MS is the commonest cause of non-traumatic neurological disability in young adults. Even if the typical age of onset is between 20-40 years old, more and more children are affected. And it's more aggressive with them. As important as the treatment is the understanding and support of family, as well as psychological support. And this is what I want to share with you: MS Kids Retreat is a project that is worth your support. MS Kids Retreat will bring together 25 children with multiple sclerosis from Romania on a 3 days retreat in the beautiful area of Magura. It's not easy for children to make room for MS in their life. They get scared and communication with family and friends might become difficult. Parents also find it difficult and might not know how to handle the situation right, at least in the beginning. It's not easy to find peers who are facing the same challenges. That's where MS kind retreat jumps in. APAN will bring together the children with MS and their parents to share experiences, see what others who are just like them feel; the challenges they face and most importantly, find the right support. We will organise all sort of activities, from workshops in nature, to horse riding (it's proven to be beneficial in multiple sclerosis therapy), to therapy sessions and cooking workshops - we won't ask the kids to cook, don't worry :). Why? Because we want to show them that eating healthy can make them feel better and it can also be fun. Everything will be sprinkled with positive energy, smiles, inspiration and the motivation to make the change(s) to accept what's happening now (be it MS related or not) and be grateful for the life we have. 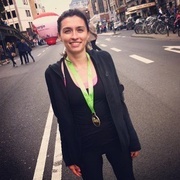 My name is Andreea Antonovici, I'm Romanian and I love running. Oh, and I've been working in the multiple sclerosis field for 4 years now. You can either find me at the European Multiple Sclerosis Platform (Brussels based) or at the Association of Patient with Neurodegenerative Conditions in Romania, which I co-founded in 2016. Running makes me happy, mountains bring freedom and peace in my life. I love trail running and even though this year I was less active, I'm planning to catch-up on my mileage and on top of that, it's going to be for a good cause. My commitment to the MS Kids Retreat and all supporters of this campaign is my participation in several trail runs during the next weeks, starting with the OHM trail run in Aywaille on the 4th of June and finishing with La Chouffe trail run on 16th July, both of them in Belgium. I will also be part of the Swimathon competition in Bucharest, the biggest fundraising event in Romania, on 8th of July. One more runner is supporting this wonderful project. Yves Brand is my colleague from the European MS Platform and he's joined the trail running side of life after endless talks on running places, views and shoes :) Happy to have him on board. 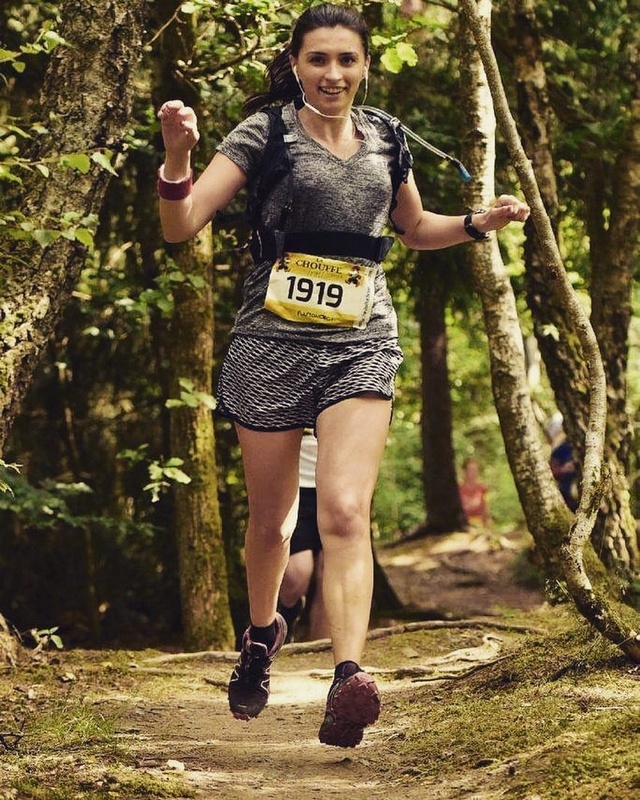 "Thank you Andreea for making me pick up trail-running and abondoning me in the forest...glad to support this great cause for children with MS! :)". A signed postcard from Magura by yours truly. + Photo from the MS Kids Retreat. Don't you wanna see all the kids who smiled at you. MS Kids Retreat personalised t-shirt + a surprise box with running accessories. We only have a limited number of them so hurry up! + Your participation to the Bucharest International Marathon 2017, 15 October 2017, is covered by us. Join us and let's Run for MS!